The rise of the double cleanse trend we can thank Caroline Hirons for. I must admit that against her advice, I use makeup wipes to remove makeup. I didn’t realise how much dirt and makeup is still on your face after you use one, hence why I know double cleanse. 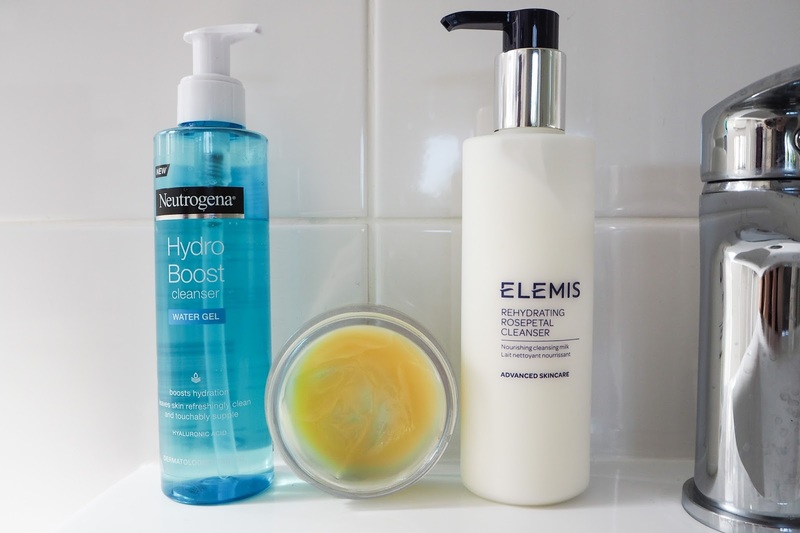 The cleansers I have in rotation now suit different skin issues so I can change my routine as frequently as needed. If my skin is feeling extremely dry or is in need of a treat, I’ll use this balm which is very soft and nourishing on the skin. It will remove makeup if you wanted it to but I think it’s far too nice to use for that! 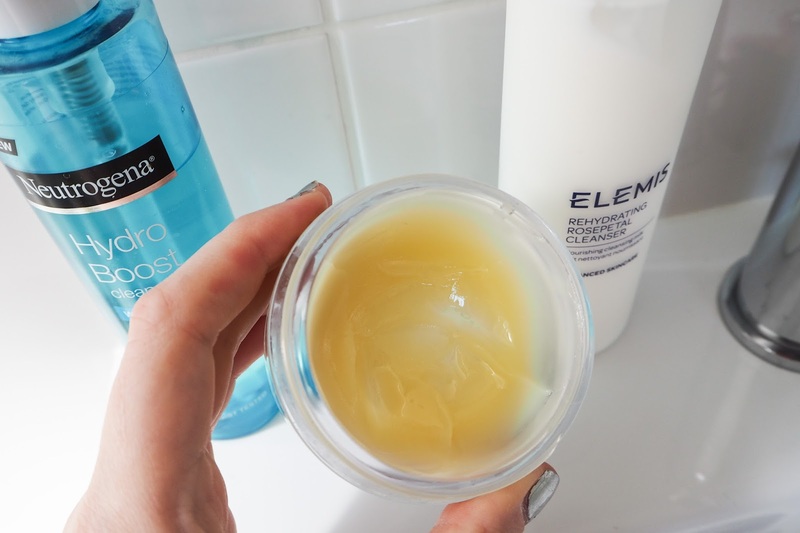 I recently review this in my ‘Elemis Skincare for Dry, Dehydrated Skin’ post if you want a more in-depth review. It’s a lightweight cream cleanser that comes in a handy pump bottle. I wouldn’t recommend this for eye makeup removal as it is scented. The gel consistency of this cleanser makes it very refreshing. It does help add a touch of hydration to the skin but it’s that moisturising, I prefer the Elemis Balm for that. Neutrogena also have a gelee milk which I’m going to try after I finish this one. I have the Pixi Double Cleanse on my cleanser wishlist. Have you guys tried it?